People often say that diamonds are a girl’s best friend, well ladies it’s time to ditch them and get a new one! Barbour’s extremely comfortable Alice Slippers will see you through the long frosty hours of winter. 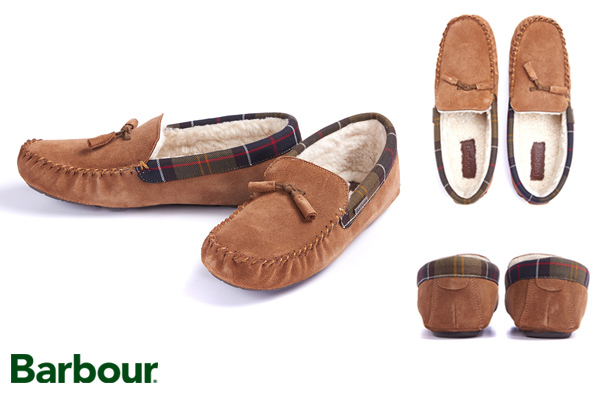 These Moccasin style slippers have been fashioned from gentle suede and lined with sumptuously soft Polyfleece material to keep your toes exceptionally warm and cosy. 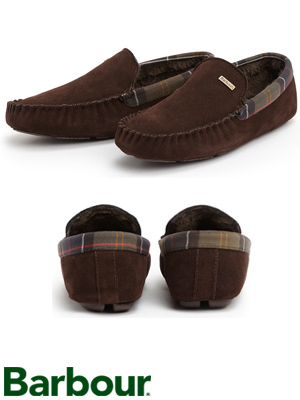 Each slipper has been edged with Barbour’s signature classic tartan for extra added detail. 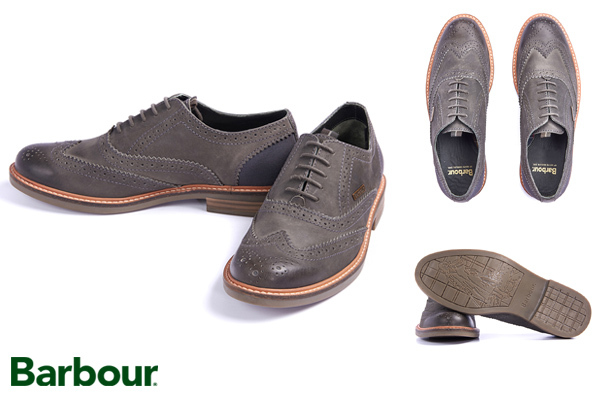 For the classic country gent look why not consider the Barbour Redcar Oxford Brogues? Made from leather and cotton canvas these brogues will look flawless when paired with either smart or casual attire. 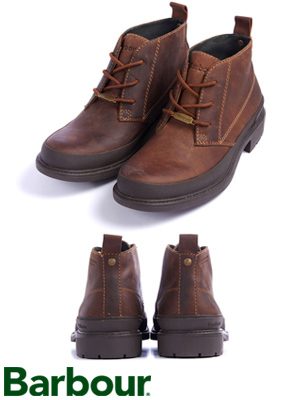 Featuring a beautifully embossed image of a walking man motif on the sole of each shoe. 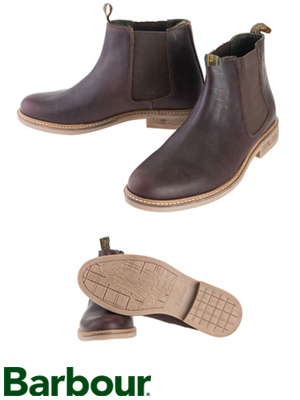 Everybody loves the timeless Chelsea boot because it really is the all year round boot. The Barbour Farsley Chelsea Boot is made from beautifully smooth and durable leather, with stunning contrasting elasticated sides and sole. Lined with Barbour’s famous classic tartan pattern and fixed with Barbour branded heel pulls; this iconic style will look outstanding when matched with both smart and casual apparel. Do you want footwear that oozes classic British style? Then take a look at the Barbour Belsay Brogue Derby Boot. This hard-wearing leather shoe has been styled with a traditional brogue design and constructed with fashionable stitched detail from top to toe. This particular shoe has been tailored with a strong 7 lace structure to give you extra security and comfort for when you’re strolling through the countryside. Behold the Barbour Readhead Boots, made from cotton canvas and trendy leather accents these boots simply radiate sophisticated and suave. What’s particularly attractive about this style of boot is the contrasting stitched detail all along the welt of the shoe. The dark chocolatey shades of canvas against the light hints of thread are sure to grab people’s attention when you walk into a room. I’m sure we’ve all had a pair of leather boots that can feel cold and uncomfortable without a pair of long woolly socks? 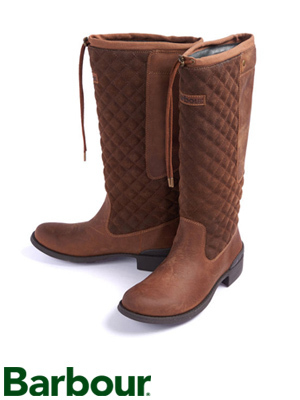 The equestrian inspired Ladies Barbour Hedgehope High Boots have been tailored with supremely warm Polyfleece lining, so you no longer have to dread putting on your shoes on a cold and frosty morning! The Hedgehope boots will look superb when paired with either smart or casual attire, thanks to their smart leather and relaxed quilted contrasting qualities. 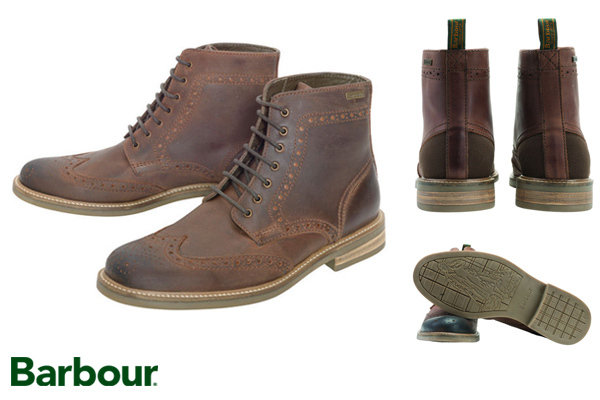 If you like the classic worn leather look then the Barbour Longhurst Chukka Boot is perfect for you. This robust shoe has been crafted from weatherproof and hard-wearing leather, with thick rubber soles that can withstand the harshness of the rugged environment. Thanks to Barbour’s attention to detail this boot is a distinctive accessory in the Barbour footwear collection with its complimentary contrast stitching. 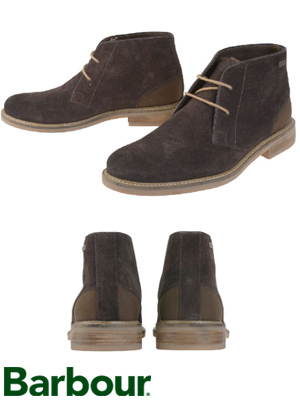 barbour, Barbour Shoes, Belsay, Brogues, Chelsea Boots, Chukka Boots, Oxford Shoes, Philip Morris And Son, Suede Slippers. Bookmark.